Sameer Shahid Ameen Department of Ophthalmology, PNS SHIFA, Karachi, Pakistan. Nauman Ayub Department of Ophthalmology, PNS SHIFA, Karachi, Pakistan. Keywords: Phacoemulsification, Corneal Endothelial Cell Density, Anterior Chamber Depth, Axial Length. Objective: To evaluate mean decrease in Corneal Endothelial cell Density (CED) after phacoemulsification in patients with different Anterior Chamber Depths (ACDs) and Axial Lengths (ALs). 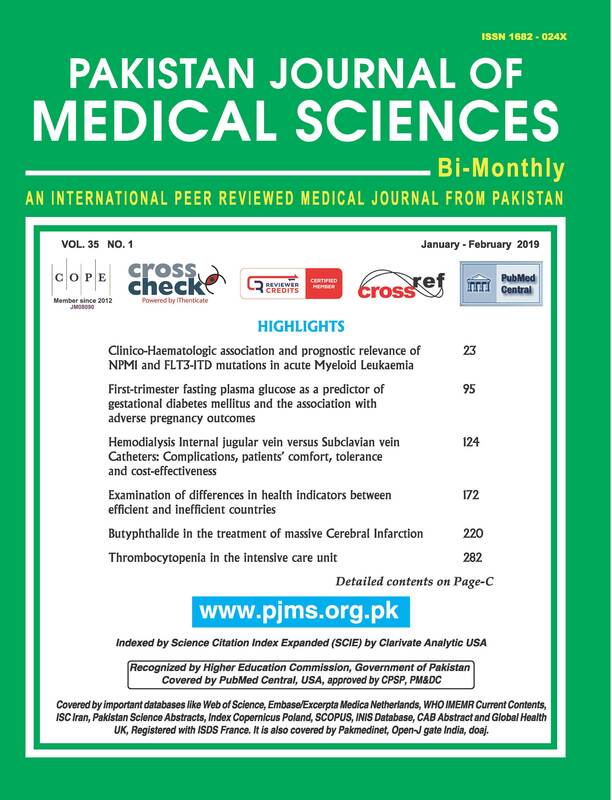 Methods: This prospective stratified controlled study was conducted at PNS Shifa Hospital, Karachi. One hundred eyes of 90 patients, scheduled to undergo phacoemulsification surgery, were included. AL and ACD of each patient were calculated preoperatively using IOL Master. Cataracts were classified according toLens Opacities Classification System III (LOCS III) giving nuclear opalescence (NO) grades on slit lamp examination and only patients with grades NO2 and NO3 were included.Eyes were divided into two groups according to ACD and AL: Group-I: ACD 2.0mm – 3 mm and AL 22mm – 23.5mm; Group-II: ACD 3.1 mm -4.0 mm and AL 23.6mm – 25mm. CED measurements were done preoperatively and 2 month postoperatively using specular microscopy. The difference in CED change (Endothelial Cell Loss) between the two groups after surgery was analyzed using SPSS, v 22; IBM Corporation, Armonk, NY. Results: Differences in gender, laterality, age and preoperative CED between two groups were not significant. Difference in postoperative CED was also not significant, however difference in mean change and mean frequency change in CED between two groups was found to be statistically significant. Conclusion: ACD and AL affect the CED during phacoemulsification and Intraocular Lens(IOL) implantation and can be considered as risk factors of peroperative endothelial cell loss.